OMG. How much fun are these!?! 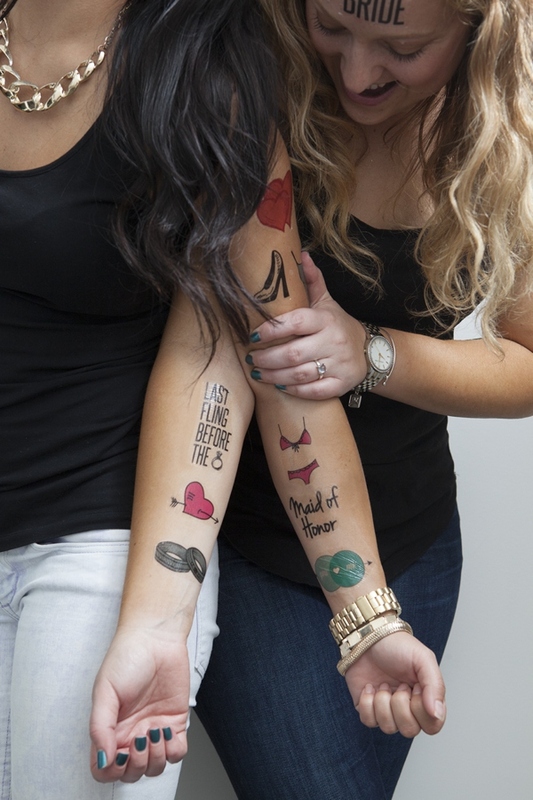 It’s really not a party until someone puts on a temporary tattoo! 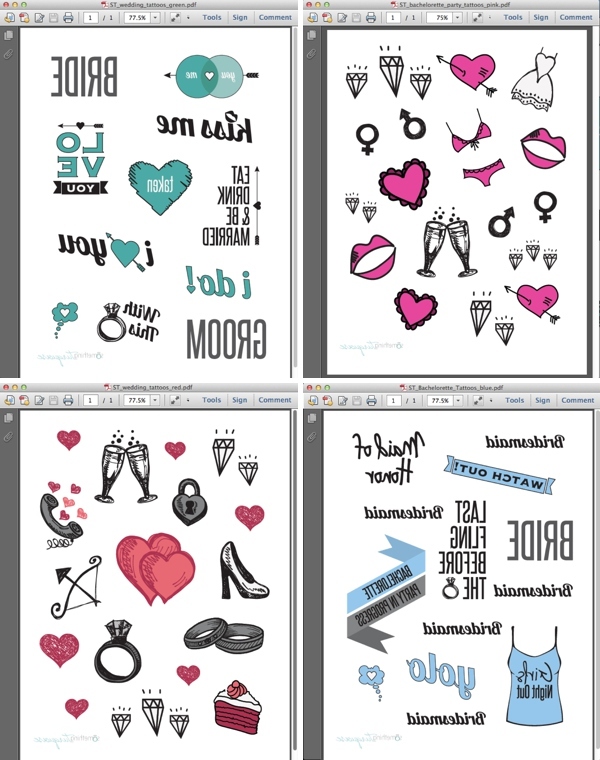 With the four free design downloads below, tattoo paper and an inkjet printer ~ this super easy DIY will definitely draw some attention! 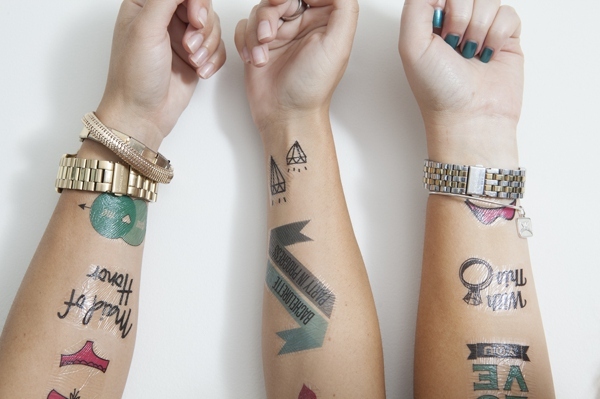 Temporary Tattoos are always a good idea! lol. free downloads below, or your own designs! 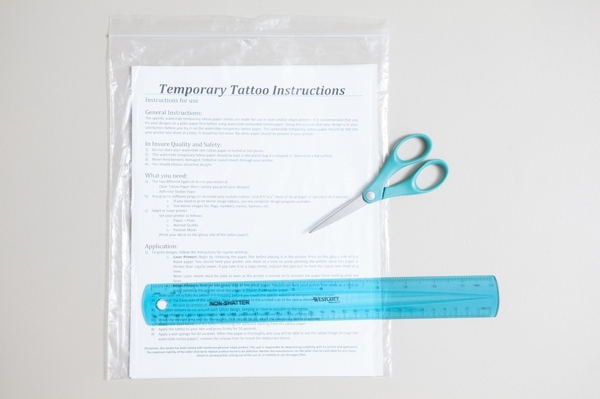 Following the instructions for the tattoo paper, using an inkjet printer – print one of the adorable designs above onto the correct side of the tattoo paper. 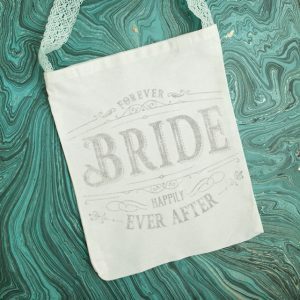 You can also design your own!!! Just remember you’ll need to print your designs in a ‘mirror’ image if using text… otherwise the words will be backwards on your skin! ***Our designs have already been saved in a ‘mirror’ image. 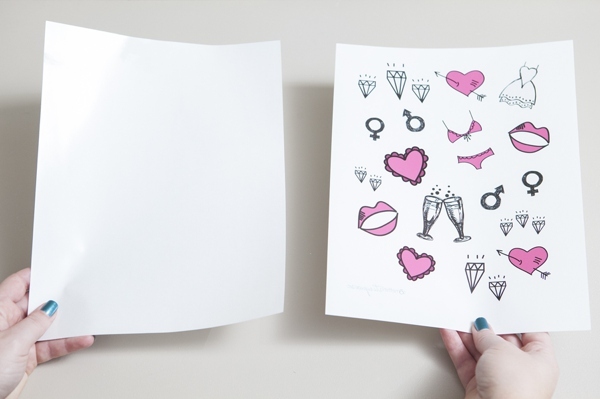 Take the clear adhesive sheet and carefully apply it to your freshly printed design. 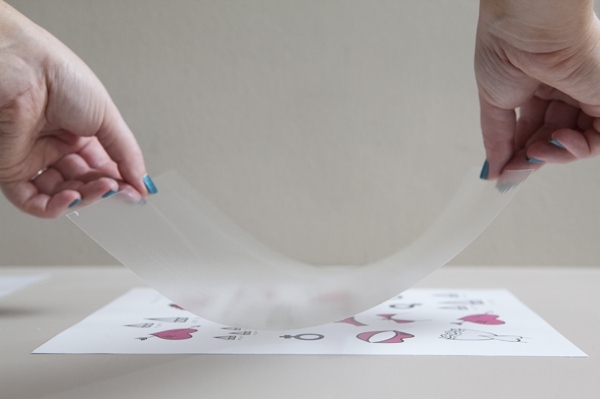 Firmly smooth the adhesive sheet onto the printed sheet, working out any bubbles using a ruler or the like. This pressing action will actually lift the printed design onto the clear adhesive sheet, so it needs to be done throughly. Cut out each design as close as you can to the colored area. To apply these silly and fun temporary tattoos, use the regular steps: 1) remove the plastic backing 2) hold a wet sponge on the design for 60 seconds 3) Peel the paper baking away and ta-da!!! 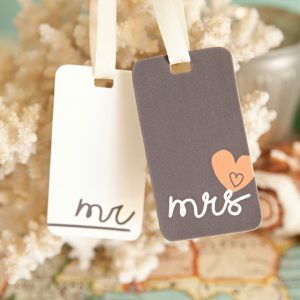 Tattoo paper + cute designs = custom wedding tattoos in under an hour! A huge thanks to my friend Julia, our model and tattoo designer ~ aren’t they adorable!?! How long will the Bride tattoo be on your forehead? I love the dedication =) Awesome DIY as always! I took it off that night ~ but not without a few of my neighbors seeing me with it on! Hahaha! This is really an awesome collection absolutely cooooooollllllll!! !